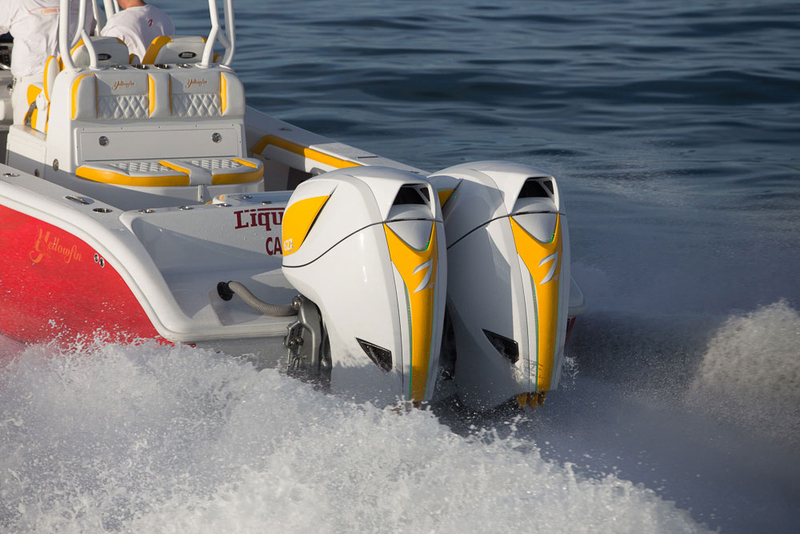 With its props under the boat’s hull, Forward Drive turns a stern-drive runabout into a wake-surfing machine. 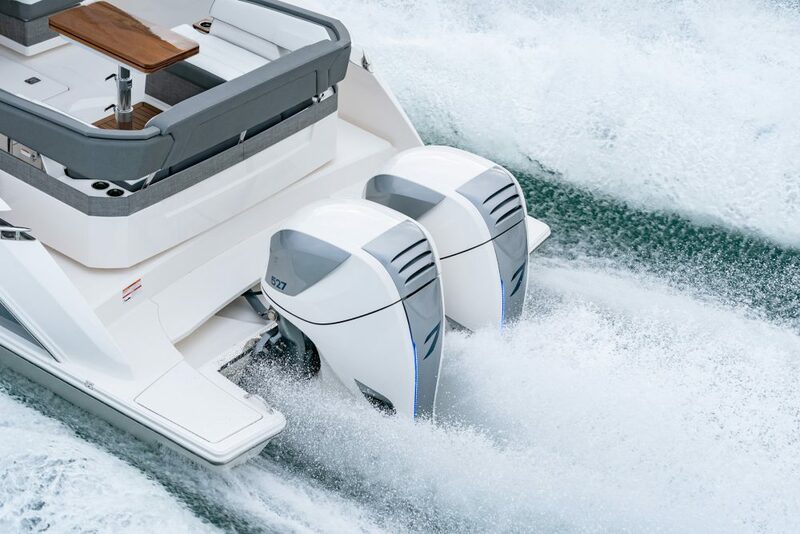 Wake surfing is the mission of the new Volvo Penta Forward Drive, a stern drive with the props facing forward, similar to those on pod drives, the company revealed today at the Miami International Boat Show. 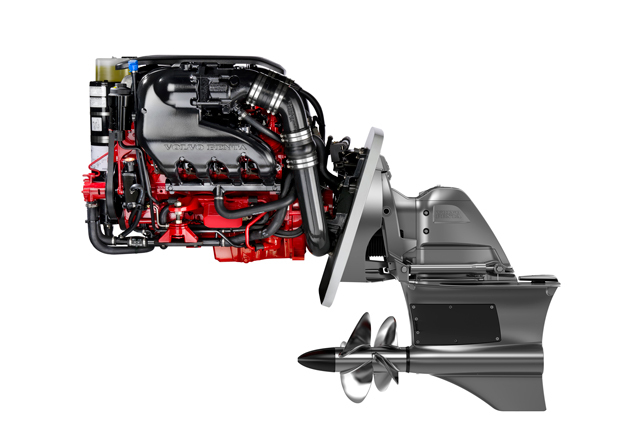 Developed in just under a year, according to boat builder sources, the Forward Drive applies IPS and Duoprop ideas in a pulling, or “tractor” drive, that locates the propellers under the hull of the boat, 27 inches further forward than the props of a Duoprop. In this location, it seems very unlikely that a wake surfer could suffer a prop strike in a fall, especially if the boat is equipped with an extended swim platform. The Forward drive is debuting in Miami on boats from Bryant, Four Winns and Cobalt, with other builders engaged in testing the drive. 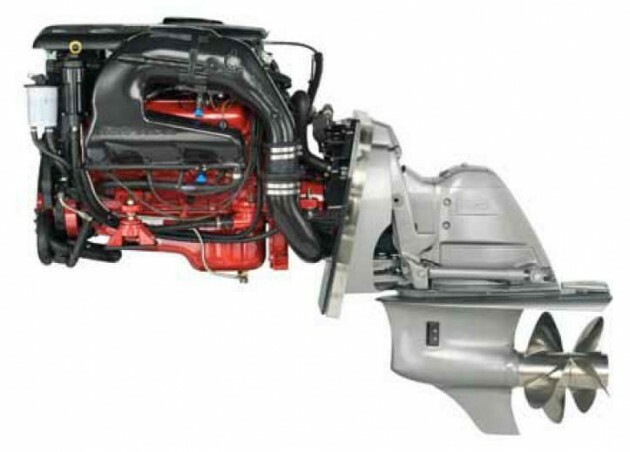 The props on Volvo Penta's new Forward Drive look strikingly similar to those found on pod drives, and are located over two feet forward of common stern drive propellers. Wake surfing—riding a board on the curling wake of a slow-moving powerboat without holding a tow rope—has been pursued for generations. But in the last five years there’s been a surge of interest, with the encouragement of inboard tow-boat builders and board manufacturers. Sterndrive runabout builders, who were able to add a tower and jump on the wake-boarding craze a decade ago, have been left out in the cold this time because surfing a wake just a few feet behind an outdrive is simply too dangerous. The Forward Drive intends to address that issue. The Forward Drive lower unit looks a lot like an IPS and is a little smaller than the IPS 1. Its case is cast in aluminum and bolts directly to a Duoprop outdrive mid-section. 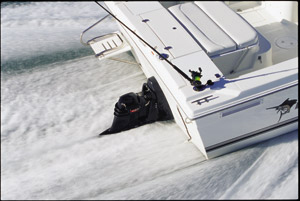 Unlike an inboard, the Forward Drive offers trim capability, which can be used to create a larger wake. It also expels all of its exhaust under water, so a surfer is not exposed to fumes. The Forward Drive will be paired with gasoline engines from 200 to 430 horsepower. Volvo expects the prime application to be from 300 to 430 horsepower. All-new K Series propsets have been designed for the drive. Volvo says the Forward Drive will cost about 10 percent more than a Duoprop sterndrive. The key Forward Drive disadvantage I note so far is that, unlike a standard sterndrive, it can’t be trimmed above the bottom of the boat. At full tilt the props are still about a foot lower than the keel, so it may be tricky to beach and will certainly draw more water. It will also require a special trailer to carry the boat higher in the back, with a cut-out for the drive, sort of like an inboard trailer. Volvo says Forward Drive creates no performance benefits, nor any sacrifices. Fuel economy, speed and acceleration are comparable to the performance of a Duoprop. The Forward Drive does offer outstanding thrust and control in reverse because the props are never in the wash of exhaust. I had a chance to demo a prototype Forward Drive in a 23-foot runabout, with water ballast on board and a normal load. An expert surfer rode the wave with ease when the boat was loaded down and running at about 12 mph. With a light load it ran and responded to trim like a sterndrive, with one difference: the thrust point in turns seems to be located further forward, so the boat feels a little like an inboard in hard turns. In fact it will rail around like a jet boat if you want it to, with no trim adjustment, because those props are buried deep in the water and away from the wake. It will be interesting to see how boat builders apply the Forward Drive, and how many think that wake surfing is reason enough to design a new runabout. In Miami, Four Winns is showing its TS 222, a runabout with an all-new hull and features it says are designed specifically for wake surfing. Bryant has successfully installed the Forward Drive in is 233X tow-sports model and is working on new models with a surf-specific hull. Cobalt is happy with the performance of Forward Drive in its 24 SD WSS, and will offer it as a new power option this season. News Flash: The Volvo Penta Forward Drive just won an innovation award for best new alternative drive technology at the 2015 Miami Boat Show! 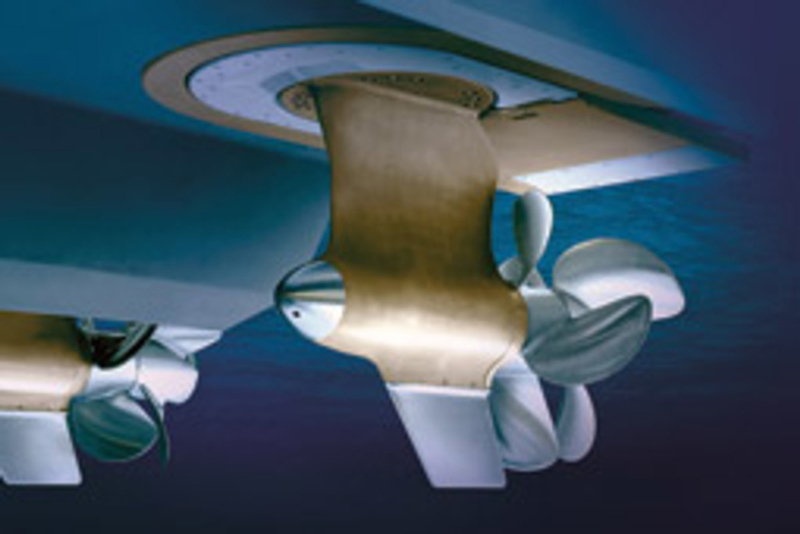 For more information, visit Volvo Penta.